Why is vocabulary development important to acquiring fluency in reading? Vocabulary comprehension is a crucial component in acquiring reading comprehension skills. Successful vocabulary development ensures that students will develop metacognitive skills which will assist children in comprehending advanced texts requirements when they leave the learning to read phase, and are expected to read to learn. Comprehension is not the sole factor in word recognition and memorization of definitions; it is merely a main component of vocabulary development. For children who have not acquired proper knowledge of the meaning of words, reading comprehension will prove difficult if not impossible. Vocabulary can be divided into three parts. Auditory vocabulary is composed of the words that are heard. Verbal vocabulary is composed of words that are used in speech. Reading vocabulary is composed of words that are seen in print and can be decoded. Acquiring a fluent reading vocabulary requires more than looking up the definition of words in a dictionary. A proper form of instruction is required for children to develop word knowledge in-depth. Students need to be empowered with skills to Develop strategies that will increase the growth of word knowledge. For word knowledge growth to occur four obstacles to vocabulary development must be addressed. If obstacles are not recognized, a successful reading experience cannot occur. 1) The size of a task, the number of words that students need to learn is large. 2) The difference between spoken and written English levels. The vocabulary of written English such as what students experience when reading a text differs from conversational English. Children who have do not have exposure to literate English in their environment may come from English and non-English speaking households. 3) Limitations of sources of information about words. Children may have limited resources of reading materials in their environment. Thus, severely limited their experiences with words. 4) The complexity of word knowledge. Children must comprehend more than dictionary definitions. Memorizing a definition does not ensure the word could be used in reading or writing. Different words pose varied demands on students. Students learn words at a rapid rate, estimates range in the thousands. Without instructional intervention, the vocabulary gap between fluent and non fluent readers gets larger. Students add 2000 to 3000 words a year to their vocabulary. This breaks down to roughly six new words a day. One can surmise how the gap between fluent and non fluent readers widens every year. Knowing the meaning of words can result in children comprehending new ideas and concepts faster than their peers with more mediocre vocabularies. Differences in word knowledge begin at an early age. Children are exposed to varied ranges of words in their homes and communities. Socioeconomic classes can hinder or encourage exposure to words. Children from lower socioeconomic backgrounds will not have an opportunity to be exposed to experiences that well off children are. Children from households where parents are employed in professional positions are exposed to 50 percent more words than children from working class families. Finding ways to balance this vocabulary inequity reinforces the importance of creating opportunities for lower-income children to receive exposure to activities that enhance vocabulary and language development. If schools develop programs that rectify a child’s experiences growing up in a home that does not promote language and vocabulary development fluent readers will emerge due to positive school experiences. Spoken language is less descriptive than written language. Speakers use many communicative tools to convey a message. Gestures, vocal intonations, and body language are not available to writers. Friends depend on shared knowledge during conversations. Certain descriptors are left out because it is assumed that a friend already knows what the person is speaking about. Friends may use words like “you know who” during a conversation. Reciprocal feedback occurs during verbal communication so any misconceptions could be validated verbally. Writing relies on more precise methods as the only mode of communicating a thought is the written word. Differences between the spoken and written word poses a problem for English as a second language students. Students may learn to speak English within two years and appear conversationally fluent but their vocabulary deficits may be hidden. Students who cannot claim English as their native language learn conversational English before they become proficient in written English. Educators must take these factors into account within their classroom or a child could be diagnosed as learning disabled when the English language learner is merely having difficulty comprehending a book. The Literate English vocabulary can pose difficulties for children who come from an English-speaking household as well. Certain words such as restore may be read in a book but the child is not acquainted with the word through life experience. Childrenwho live in a low-income environment will most likely not know what renovate means, by comparison children from an affluent environment would most likely comprehend the definition of renovate in print due to exposure. Students will likely acquire vocabulary knowledge as they pick up meanings of words from context as they read books. Context has beneficial long-term effects. Words will be encountered repeatedly by gradual accumulation of information related to the words that are read. Repeated encounters with words reinforce the odds that vocabulary growth occurs. One encounter with a word does not allow automatically to occur. When one knows a word the definition is usually comprehended. 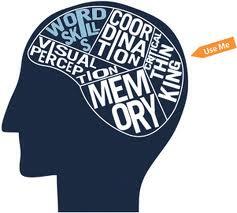 Knowing a word and acquiring the capability to use it speech, writing, or comprehension are extremely different. Children may be familiar with the word at or so and still have difficulty with defining the word. Definitions talk about a meaning but do not constitute word meanings. Definitions identify, and then describe differences within a word category. Meanings of words are not fully comprehended in descriptions of relations to other words. Students must experience a word in context and learn how its definition relates to other words that are used in its place. Comprehending the meaning of words as they are used in different contexts such as Joe gave the waitress a five dollar tip, the doctor gave my son medicine, or the actors gave a wonderful performance. Each act in the example differs from the others. Children cannot learn this from a dictionary definition. Children need to see words used in multiple contexts to comprehend how the words meaning changes. Each example had a receiver and giver but the meaning was different in each example. Vocabulary knowledge is complex because all words are not similar. Vocabulary has function words and content words and these are not the same. Function words are syntax words that describe the function of a sentence. If function words are nonexistent, a sentence becomes unintelligible. Function words are learned relatively easily with merely 100 function words accounting for relatively 50 percent of words conveyed in English language. A content word is large, accounting for nouns, verbs, and adjectives which convey information in print. Content words veer towards abstract or concrete and are descriptive, such as things, sounds, and colors. Abstract words are difficult to learn as they have to be taught through example. Concrete words can have connections to an object. Content words can teach a new concept, a new way of organizing ideas, and experiences. An example is photosynthesis which needs to be learned in the context of another scientific idea. Concepts are learned through repetition and experience and are vital to vocabulary development. What qualifies as reading for vocabulary growth? Reading material should be to students at a variety of levels. Reading for enjoyment can increase fluency skills as the child is most likely reading text that they are familiar with. Challenging text should be available to give children the opportunity to acquire new skills. The text must not be so challenging however that the child will get frustrated and avoid reading the book. Reading strategies may be developed by assisting the child in developing strategies that assist them in reading challenging books without becoming frustrated. Students who learn comprehension strategies tend to find reading more palatable. How to increase motivation levels is of the utmost importance in the road to fluent reading. Classroom climate is an important factor in encouraging reading. Classroom environments that promote reciprocity, a variety of reading materials, ample pockets of time to read, and social interactions with peers and the teacher during reading time increase students motivation to read. An important motivation booster is modeling. Teachers would be well advised to mention to students that they like to read specific books. Teachers present a great example of how enjoyable reading can be by making a point to read in front of the students. Exposure to books in the classroom will have a positive effect on English language learners and English-speaking students who have developed fluency in conversing but do not have much exposure to text outside of the school environment. Successful classrooms can create an atmosphere that takes advantage of verbally fluent students by increasing the level of spoken language in the class. Incorporate words that are present in print to increase literacy. A great way to induce exposure to literate vocabulary is to read story books to the children and allow time for discussion of the content. Reading aloud is conducive to acquiring the meaning of new words. Audio books that children can access independently expose them to new language experiences as well. Although no text is present during storytelling activities the children still receive exposure to new language and experiences. Stories can be adapted into fantasy play for younger children to reinforce a story that was recently heard. For successful introduction of a new challenging vocabulary, a teacher must make it an enjoyable experience for the children. Students need to comprehend the differences in written and spoken words in order to become literate. Children can reinforce new vocabulary words learned from reading by copying sentences from their reading materials into a journal. Encourage the children to write descriptions, plays on words, that the children found interesting. Allow children to share their journal with the class so they can learn from one another. If a child is to shy, allow them to post interesting information from the book on a wall. Playing oral and written word games can enhance vocabulary comprehension. Puns and limericks can be used in both younger and older grade school class rooms. Jokes, riddles, crossword puzzles, and anagrams can be used in older grade school classes where the child’s cognitive level is more developed. When students realize that playing with words can be enjoyable it creates an interest in knowing more about them, and can become a catapult for independent word learning. When a child is taught in an unthreatening atmosphere they thrive and perceive learning as an enjoyable activity. Teachers who instill positive self efficacy in their students create life long learners. Children, who have been taught to believe that they are capable of achieving their goals, possess an innate sense of curiosity which propels them to develop a thirst to learn more. Children who are struggling readers and are in a negative classroom climate will perceive learning as something they are incapable of and eventually give up. May all educators strive to create a culturally sensitive classroom climate, and may there be “No Child Left Behind”. Be the first to comment on "The importance of Vocabulary Development in Acquiring Fluency in Children by Mari Nosal"